For adults aged 40-50, health caregivers recognize universal screening tests for diabetes with earlier screening tests for those with potential risk factors, such as obesity, family history of diabetes, and high risk ethnicity (Hispanic, American Indian, African, American, Pacific Island, and South Asian). • Obesity – One of the strongest risk factors identified for diabetes is being overweight. Most cases of Type 2 diabetes have a Body Mass Index (BMI) that is greater than the normal 25, which led scientists to conclude that weight plays a significant role in preventing the onset of the symptoms. • Waist Size – Another factor that is somewhat related to obesity is waist size. In fact, research shows that waistline may be a better predicator of diabetes risk. People who have the so-called “apple-shaped” figure (much of their weight is in the waist and upper abdomen) are more likely to develop diabetes than persons with larger hips, buttocks, and thighs (or the “pear-shaped” figure). • Sedentary Lifestyle – Exercise correlates with weight and waist circumference. As such, lack of adequate exercise is also a risk factor for diabetes. • Age – Although some types of diabetes occur even in children, the risk for diabetes increases as the person’s age also increases. 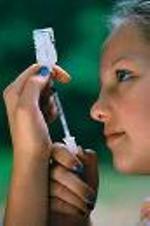 The average age of persons diagnosed with diabetes is 40 years. • Background – This includes family history and ethnic background. Scientists have yet to discover a direct hereditary pattern for diabetes, but several studies show that you have a greater risk of developing the disease if you have a family member diagnosed with diabetes. As for ethnicity, diabetes is found to be more common among African-Americans, Hispanics, Native Americans, Asians, and Pacific Islanders. 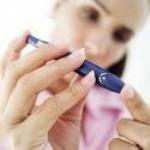 The study also showed that medications can significantly delay the development of diabetes. However, diet and exercise worked better in preventing the full onset of the symptoms. The American Diabetes Association recommends 30 minutes a day of moderate physical activity, coupled with a five to ten percent reduction in body weight.